This stand out salad has it all, cheese, meats and vegetables all tied together with an easy salsa dressing. 1. Mix dressing ingredients in medium bowl until combined. 2. Cook bacon in a large non-stick frying pan (about 30 cm) over medium-high heat, until crisp and golden. Remove cooked bacon using a slotted spoon, leaving any remaining drippings in the pan. Add the chicken to the drippings; cook for 4 to 6 minutes, until browned and no longer pink in center. Cool slightly. Refrigerate for 30 minutes or until chilled. 3. In a deep 3-quart salad bowl, layer lettuce, chicken, bacon, bell pepper and tomatoes. Top with dressing. 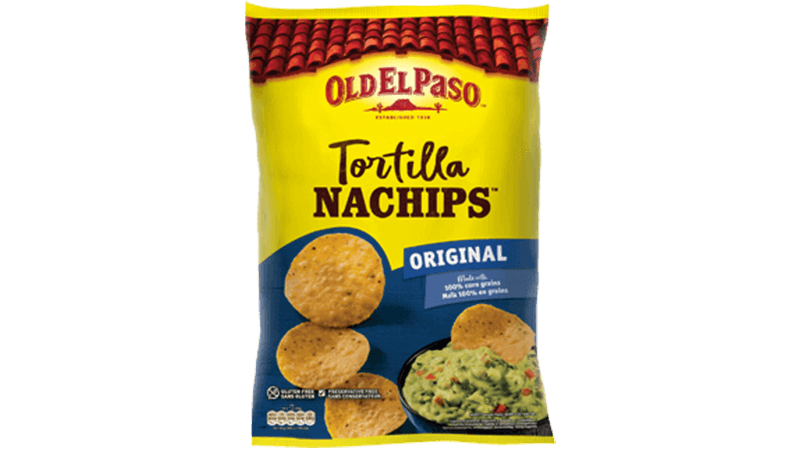 Serve immediately or refrigerate up to 24 hours. 4. 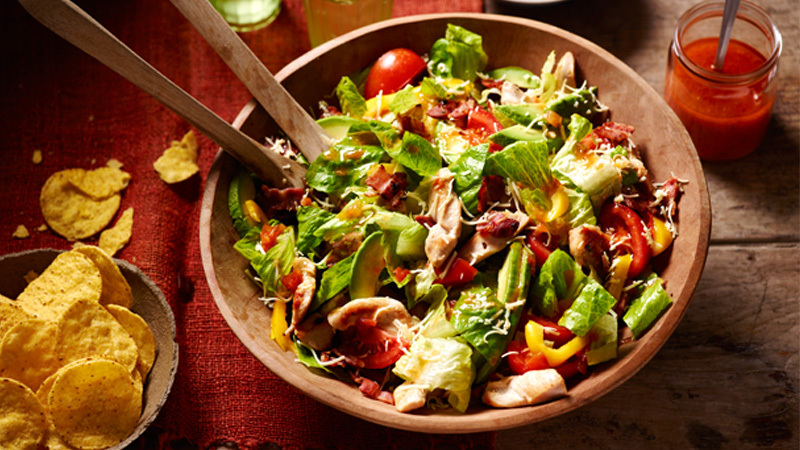 In a large deep salad bowl, layer the lettuce, chicken, bacon, pepper and tomatoes. Top with dressing. Serve immediately or refrigerate for up to 24 hours. 5. Just before serving, garnish with the avocado and cheese. Serve with soured cream and tortilla chips. To save time, buy already cooked bacon and rotisserie chicken.